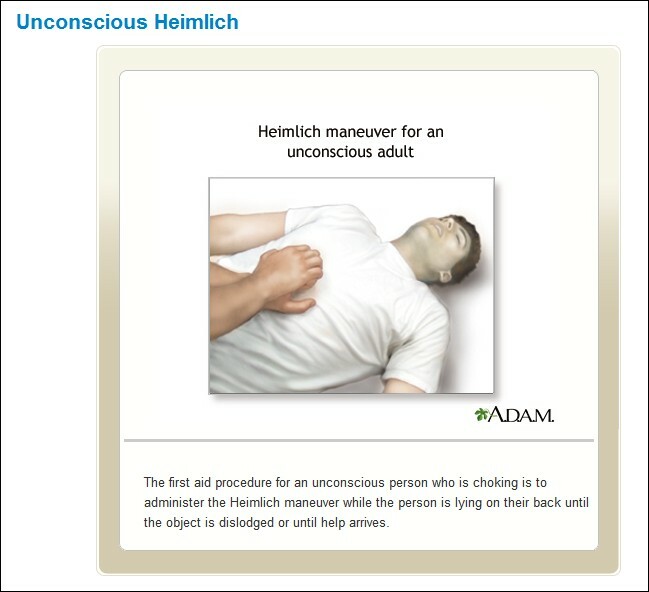 I asked for an investigation because the "unconscious Heimlich" is reportedly not recommended by the American Heart Association or the American Red Cross, I'm unaware of any research that supports the treatment recommendation, and when I've asked A.D.A.M. Inc. -- the health care information company that supplied the information -- to provide me with citations to research that supports their treatment recommendation, I can't get an answer. Among other unanswered questions, it's unclear on what basis the "unconscious Heimlich" treatment was ever recommended by the NIH/NLM. Unless the agencies can produce legitimate evidence in the form of published research, it appears that for over 15 years they've been recommending an experimental medical treatment.